Hurray it is Planting Time! Does it feel like Spring where you are yet? Spring here is traditionally wet and windy, with the promise of warmer things to come. 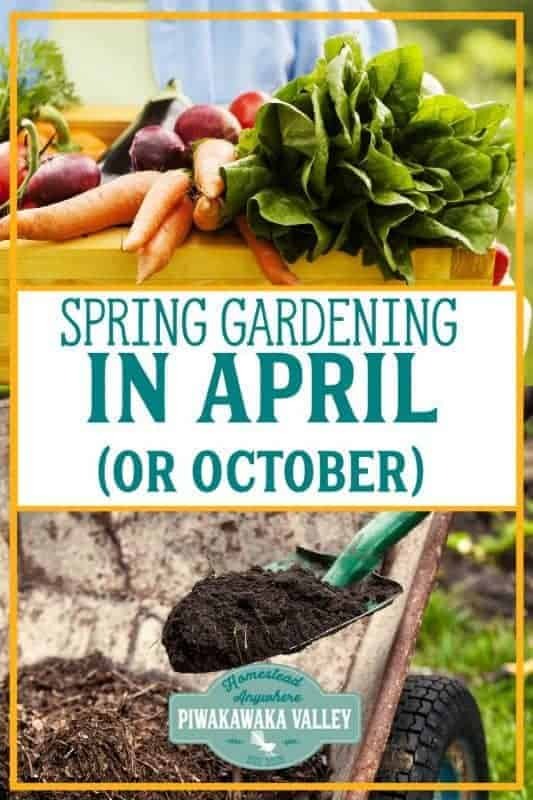 Here is all the things you need to do in the garden in April if you are in the northern hemisphere, or in October if you are in the southern hemisphere. 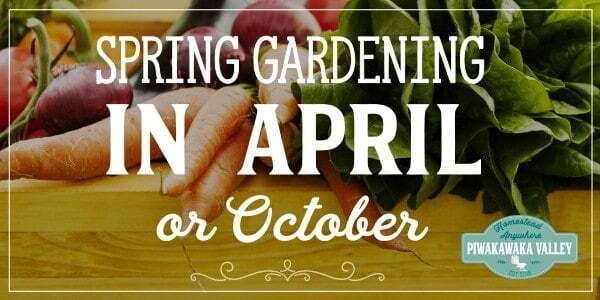 Spring is a perfect time to get your main crop seeds started, and to pop out and get that garden ready to plant up. Make sure you keep sensitive plants in doors and protected from frosts, and make sure everyone is well mulched and well watered. If you are a newbie to gardening, or if you want to learn a lot more, check out our very in-depth course – The Productive Gardener. To use the lists below, first you need to discover what USDA Zone you live in. Check over your plants and if you see pupae of whitefly or other bugs, hose them off and spray the plant with some neem oil and garlic spray. It is a good time to plant asparagus crowns. You can get these at garden centres. They are a perennial crop, meaning they continue to produce year after year so give them their own bed, somewhere that means you won’t want to move them. Prepare the ground well, with lots and lots of well rotted manure and compost, remember you will only prepare their bed once, so do it well. As always, if you spot some weeds peeking through the mulch – cover them with more mulch and quickly! If there are lots coming up, pull them out and leave them on the surface as a new mulch layer and add over the top at least another 3-4 inches of mulch material. ^Do either or both to get successive plantings.